Get your Texas learners permit and drivers license with our TDLR/TEA approved Texas Drivers Ed online courses for teens and adults. Texas Parent Taught Drivers Ed is most common type of driver training in Texas and with good reason. First, it’s considered a tradition my many Texas families, where parents were taught how to drive by their parents and now pass that on to their teen students. Second, it’s by far the most affordable method of driver education training available. Our Texas drivers ed online Parent Taught course is approved by the Texas Department of Licensing and Regulation as Course #107 by Virtual Drive of Texas. As an approved provider by the State of Texas, our online training includes everything your teen needs to get their learners permit and drivers license. Learn more about this course by clicking the button below. Texas requires first time drivers between the ages of 18 and 24 who did not complete a formal Texas drivers ed online program as a teen, to complete a six hour Adult driving course. This course is approved by the Texas Department of Licensing and Regulation (TDLR) as course number #C2636 by Virtual Drive of Texas. This six hour interactive Texas Adult Driver Education course includes short modules designed to help accelerate your learning and includes end of module practice tests to help you determine who well you are retaining knowledge. The Adult course also includes the DPS written test online. Upon completion of the six hours of online training, students have immediate access to their ADE-1317 certificate and can apply for their permit or drivers license at their local DPS office. TDLR approved six hour Texas Drivers Ed Online adult course #C2636. Includes DPS written test online and immediate access to certificate to apply for learners permit or drivers license. Get your traffic ticket dismissed and lower your insurance rates. State approved six hour online Texas defensive driving course. Overnight certificate shipping available. Got a speeding ticket in Texas? Whether you are resident of Texas or from out of state, in most cases, the court will allow a driver to dismiss a Texas traffic ticket by taking an approved defensive driving course. With an online course, you can log into and out of your defensive driving course as your time permits. During lunch, in the evening after work. There’s no need to drive across town to an expensive classroom course. Take it online, get your certificate delivered fast (optional overnight shipping available), present your certificate to the court and get your ticket dismissed. We’ve made it as simple and hassle free as possible. Are you ready to take the Department of Public Safety (DPS) written test? Our free Texas drivers license practice test will test your knowledge of the Texas drivers handbook. The test is composed of questions and answers directly from the handbook and is representative of what you would see on the actual DPS test. After completing the practice test, you can review your answers and compare them to the correct answers to see how well you did. Print your test results, or even share your test results with friends and family on social media. To take the DPS written test online, adults 18 and over can enroll in our state approved Texas Drivers Ed online course for adults that includes six hours of online training, and the actual DPS written test in the course. Upon completion, you can print your certificate, take it to your local DPS office as proof of having completed the written test. How long do you have to take drivers ed in Texas? Teen drivers between the ages of 14 and 17 have until their 18th birthday to complete their Texas driver education requirements. Most teens using the parent taught method will enroll around the age of 15 and it typically takes 4-6 months to compete the course. Adults who are 18 but not older than 25 must complete a six hour Adult course that is typically taken online. How long does it take to complete Texas Drivers Education? The State of Texas requires first time drivers under the age of 18 to complete a TDLR approved Texas drivers education online course with 32 hours of classroom (or online) and 44 hours of driving with an instructor. First time drivers between the ages of 18 and 24 are required to take an Texas Driver Education online course for Adults. Upon completion, the student can choose to apply for their learners permit, or upon passing the DPS road test, receive a Texas drivers license. How many hours do you need to get your license in Texas? Teens under the age of 18 must complete the 32 hours of online training and 44 hours of driver training with a parent or legal guardian. Additionally, the student must have held their learners permit for at least six months and be at least 16 years old. 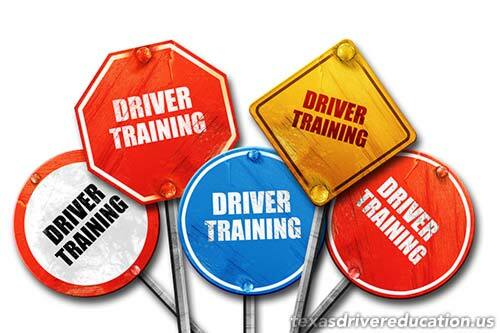 Adult drivers 18-24 must complete a six hour Texas drivers ed course approved by the Texas Department of Licensing and Regulation (TDLR). Upon completion, the driver can choose to apply for a learners permit to legally practice driving with a licensed adult driver in the passenger seat, until they are ready to take the DPS road test. How much does it cost to take drivers ed? In Texas, a traditional driving school can cost hundreds of dollars because of the staff required to conduct classroom and behind-the-wheel instruction. The Parent taught Texas drivers ed online option typically costs under $100.00 and requires a parent, grand parent, or legal guardian to be the designated driving instructor. Texas drivers ed for Adults is generally priced under $50 and includes six hours of online training. How does an 18 year old get a drivers license in Texas? Enroll in a TDLR State approved Texas Adult driver education course. Complete the six hours of online training. Take the DPS written exam in the course. Print the ADE-1317 Drivers Education Certificate. When can you start driving in Texas? The minimum driving age in Texas is 15, with a Texas learners permit, and a licensed driver 21 or over in the passenger seat. 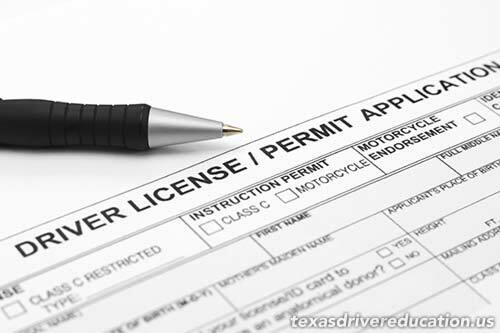 Once the driver has completed all driver education requirements, has had their permit for at least six months, and is at least sixteen years of age, they can apply for their Texas provisional drivers license. Can you Texas Drivers Ed online? Yes. Texas Driver Education courses are available online for both teen (parent taught – sometimes referred to as PTDE) and Adults. In the modern age of internet and technology, many first time drivers are choosing online classes over traditional driving schools. How do you get your drivers permit? Teens who are least fifteen, and have completed the first six hours of their classroom or online driver training, can visit their local DPS and apply for a Texas learners permit. Once the student has a valid permit, they will continue working on the online instruction and can begin the behind-the-wheel driver training with their designated parent instructor. What is Texas Form DL-92? DL-92 is Texas state form used to request participation in the Texas drivers ed parent taught program. This form must be sent to the State in Austin, Texas. The state will verify the parental instructor listed on the form has held a Texas drivers license for at least three years (if Military, have held a drivers license from any state for at least three years), has not been previously suspended and has not been convicted of a DUI/DWI. Once verified, the State will send a packet to the student’s address and once received, the student may begin the online course. DE-964 Texas drivers ed online certificate that is issued by the course provider upon completion of the parent taught course. Be sure and make copies of this certificate. One for your records, one to provide to your insurance company for up to a 10% discount, and the original goes to the DPS office when the student applies for their provisional drivers license. ADE 1317 is a State certificate for completing Adult Drivers Ed (ADE). Some courses ship this certificate, others (Like Virtual Drive…our course) have the certificate available for immediate download. Your Texas drivers ed certificate must be presented to your local DPS office as proof of completing a TDLR <em>Texas drivers ed online</em> course for Adults and proof that you passed the DPS written test in the course. Make a copy for you personal records and another copy to provide to your insurance agent for up to a 10% discount on your auto insurance. How does a hardship license work in Texas? A hardship license in Texas is available to drivers who are 15 years old and have completed all the requirements for their Texas Drivers Ed online course. Normally a student would have to hold their learning permit for six months and be at least 16, but under certain hardship cases, as long as the student has completed a TDLR approved course, the DPS office can issue a hardship license at 15 years of age. The hardship license includes restrictions, such as only driving to and from school and to and from work.